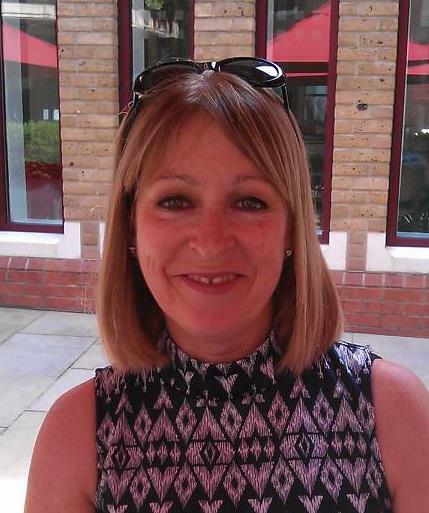 My name is Kim Davies and I have worked in the Health and Beauty business for over 35 years and understand the importance of maintaining a healthy lifestyle. I am currently the Global Director of Spa Development for Omorovicza Cosmetics, however all of the views on my blog are my own. When we reach our 40’s, 50’s and 60’s, if we are not at our optimum wellbeing, our bodies feel out of balance and our hair, skin and general health can suffer. We can feel tired and generally ‘out of sorts’ without being able to put our finger on the exact problem. I am passionate about skincare and following a good daily skincare regime is a must for me. Whatever products you decide to use, daily cleansing and moisturising are essential in my view, whilst exfoliating, gentle peels and deep cleansing masks help give ageing skin a more youthful appearance. My aim is to make skincare easier to understand and use. I also find that complementary therapy, particularly reflexology, helps restore my body’s balance, which in turn increases my energy levels. Indian Head Massage helps to relieve the tension and stresses of our everyday lives and regular facials help keep the signs of ageing at bay and help skin achieve a healthy glow. Over the past 9 years I have trained and qualified as a Fitness Teacher in the Bagot Stack System, a Facial Therapist, Indian Head Masseur and Reflexologist and now help treat other women to improve their general wellbeing and achieve new found energy levels. I work from home and have small group of regular clients, which I am happy to advise personally and have now decided to set up a blog to reach a wider audience. At the age of 53 I took up running for the first time. Ran a 5K in September 2011, building to a 10K in May 2012 and completed the London Marathon 2013 in 6 hours, not bad for a first attempt. If we do not challenge ourselves, then we do not acheive our full potential. Watch this space for my next venture! At 59 my passion is about walking – strolling, hiking, power walking, and I am a qualified Nordic Walking (the one with poles) Instructor – it doesn’t matter which, as I enjoy them ALL. Being able to exercise and keep the body moving, at any age, in the beauty of the outdoors, no matter what the weather, for me is an essential part of life. This year I will undertake the Thames Path 100km Challenge in September….I love a new project! From time to time, I will be reviewing products. It is my personal view however that to review a skincare product properly, it has to be used over time. For example, due to my age (in my 50’s), my skin cell renewal has slowed down from 28 days to approximately 50 to 60 days, so in my view I cannot comment on a skincare product until I have seen what the effect is over a complete cycle of skin cell renewal. With fragrance, although I might have an instant opinion on whether I enjoy the smell or not, I will wear it over time to gauge other people’s reaction to the fragrance. This way, I believe I will be giving an all round, honest, opinion that others may base their decision on. I spent all of 2013 refurbishing an old Victorian townhouse in Mumbles, Swansea, which is now let as Promenade View Holiday Home. It overlooks the sea with magnificent views of Swansea Bay. I hope to attract people from all over the world who enjoy walking, whatever the weather, as Gower Coastal Path is simply spectacular and is literally just around the corner! The house is let through Home from Home. There is nothing more perfect than settling down for the evening with the most glorious view of the sea, a glass of prosecco in hand! If you have any queries please feel free to comment, I look forward to hearing from you. Congrats on taking up running and building up your health. Visiting London is always a treat. I would think twice about running the marathon, though. I blogged about why you shouldn’t run a marathon. I think there are more health negatives than positives. By all means keep up the running, though! I agree in one way, as running that distance certainly takes its toll, however for me it was more the challenge of the task! I have enjoyed the training, it’s kept me fit, I am going for completion rather than timing and I do it all at a manageable pace….no charging around the course for me!! I hope you don’t hurt yourself. I wrote ‘Why you shouldn’t run a marathon.” Some interesting reasons on my blob. Best of luck! I will check it out…thanks! I hopw I don’t hurt myself either, I shall just savour the atmosphere on the day, for about 5 hours. Hello Kim Davies You have a very nice blog here. I love your collections! Keep spreading the beauty and fitness tips to the world, my friend. Thank you Cyril, that is so kind of you! I will keep spreading the word! Always Welcome KIm…Nice to meet here…Are you interested to writing articles through our blog.or sharing fitness tips with our blog http://d4doctorcare.wordpress.com/ ? I’m new to all this blogging so what would you need me to do if anything or could you just re-blog my posts? Whichever are of interest? Ok, will take a look at the link and submit something on health and fitness. Where are you from/based? My self Cyril From India..I’m working alone..If are you interested to join with me..Happily welcome to my site and work. Are you interested to writing articles through our blog. … Will gladly follow your blog.